"The West Midlands is carving out a niche for itself as a hub for research and development into the area of Serious Games. The term covers uses as diverse as conferencing, training Highways Agency staff on how to deal with potholes on a busy motorway or simulating life in prison to help youngsters at risk of offending understand the consequences of their behaviour." 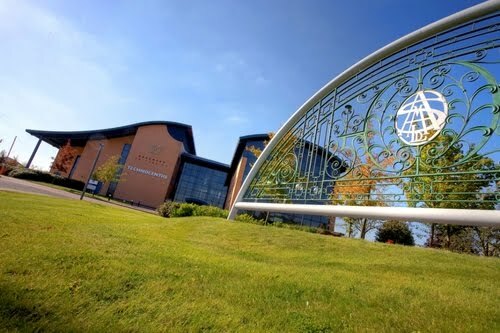 "The Serious Games Institute, based at Coventry University’s Technology Park, combines high level applied academic research with incubation space where spin-off companies and start-ups can receive the physical, and virtual, support they need to gain a toehold in this emerging market." "It’s perhaps symbolic that the site of the technology park is built on a former Rolls-Royce engine factory – an example of how the region’s tradition of innovation in manufacturing is finding a new lease of life in the gaming sector." "Serious Games Institute director David Wortley believes the Serious Games industry can have a powerful regenerative effect on Coventry and the wider region. And not just on the digital-focused firms resident at the institute who are at the forefront of developing the new technology but also on more traditional manufacturers and retailers who could tap into new ways of interacting with customers from all over the world." "Where we will start to move towards is how we use the tools that we are involved in to give more traditional industries some competitive advantage,” he said. “For example, one of the projects which we have got a funding bid in for is the next generation of electronic commerce. Currently e-commerce is what I call ‘man shopping’. It’s not a pleasurable experience – the online technology has been developed to help you place your order and the intelligence is built around remembering what it is you like to buy." One example of this is a virtual farmers market, developed by a Serious Games Institute virtual tenant, which allows the shopper to wander around various stands and view a 90-second clip of the farm owner talking about the produce for sale. As well as retail, manufacturing firms could also gain a lot by looking into Serious Games and how they can help them interact with customers and showcase their products, according to Mr Wortley. “When you look at the more traditional industries, Serious Games can be used by manufacturers to show designs in 3D and clients can have a look at their technology in the virtual world,” he added.